Gardening is currently the most popular hobby in the United States. Unfortunately, relocating to new places for jobs or for retirement creates frustration for avid gardeners. Having personally gardened in the luxurious soil of the cold Midwest and the dry heat of Texas, the plants enjoyed in those climates often don’t flourish here. Lilacs, sweet cherries, rhubarb, tulips, cactus, many succulents and other plants simply don’t do well in the hot, humid South. Fortunately, for the 50 percent of non-native Carolinians living in the Triangle, two garden books offer assistance to the newcomers to create beautiful gardens. For beginners who don’t know a crape myrtle from a maple, author Tony Bost provides a solid introduction to ornamental gardening for residents of North and South Carolina in Carolinas Getting Started Garden Guide (Cool Springs Press, 2015). His vast horticultural knowledge is the result of experience as an agent for the North Carolina Cooperative Extension Service for 31 years. From lawn grass to bulbs, each group of plants has a general explanation of their care. For the specific plants in these selections, photographs and explanations are included about how and where to cultivate them. Especially helpful is the “Try These” information that names cultivars of the recommended plants that grow particularly well in the Carolinas. As with his other publications, Bost provides written instructions in a conversational manner, like a friendly neighbor advising a nearby novice gardener. 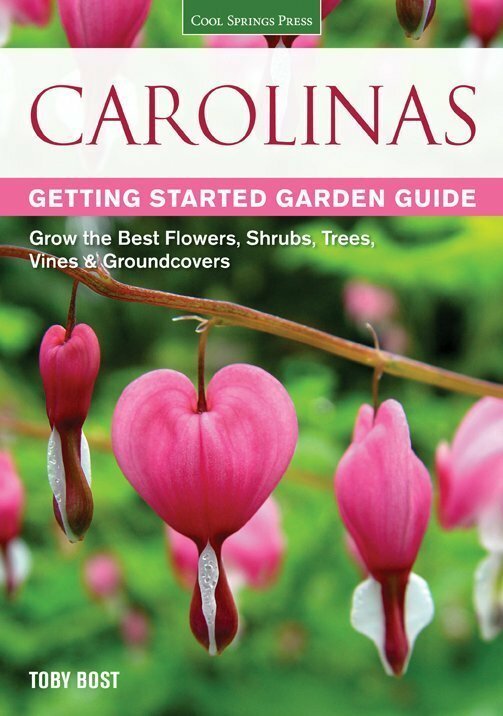 If you are an experienced gardener or are ready to expand the types of plants you are willing to try, The New Southern Living Garden Book (Oxmoor House, 2015) is the book for you. 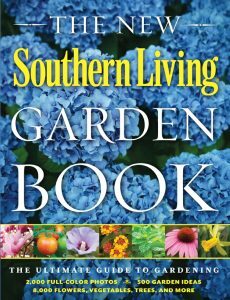 This volume written by the editors of Southern Living Magazine covers almost every type of plant that is capable of being grown from the Mason Dixon line to Florida and westward through Texas. Photographs and growth instructions are furnished in “The South’s Best Plants A to Z” section. Here plants are alphabetically arranged by their Latin names, but can be easily located by common names through the book’s extensive index. By leafing though this multitude of excellent photographs, I identified the name and needs of an unknown plant that I had received at a plant exchange. In addition to the myriad of plants introduced, the book concludes with the practical aspects of maintaining a successful garden. Soil preparation, weeds, insects, diseases, pruning, planting, and all the other hard-work activities of gardening are explained in a simple enough manner to encourage a new gardener. To new residents and to natives of the South, the hot months of summer are an appropriate time for visits to botanical gardens and to arboretums in this area. These real-life observations of the book-recommended vegetation will help you choose the most beautiful plants for your home garden’s appearance.